In 2015 Kathy open Artscape Studio (101 Nokomis Street, Studio #3 Alexandria MN) for working and selling her art. Kathy also participates in art crawls, studio tours and solo and group exhibitions. With a second home in Medina, MN. she has exhibited in a number of locations in the Twin Cities. Kathy has an art degree from St. Cloud State University and an MEd. from Hamline University. She taught art in a number of K-12 school districts for 35 years and worked as an Art Education Program Specialist with the Perpich Center for Arts Education. Consulting with school districts all over Minnesota, she worked with teacher teams to integrate the arts into all content areas and write arts standards based curriculum. 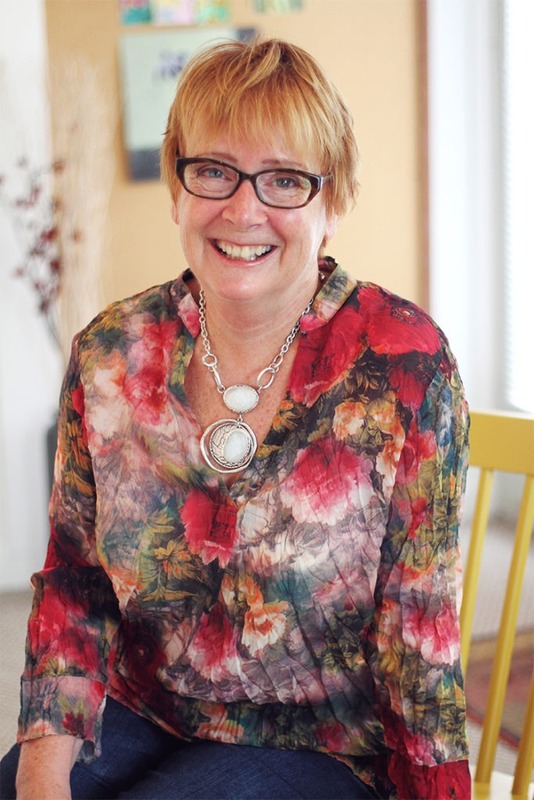 Kathy holds a number of awards for her teaching of art that includes Minnesota Art Educator of the Year, Minnesota Elementary Art Educator of the Year, Middle School Teacher of the Year, Distinguished Service for Arts Education and a Distinguished Alumni Award from St. Cloud State University. Kathy has continued with art studies through Twin City art centers, artist-teachers, and mentors. Her areas of interest include abstract and realistic styles using collage, mixed media and watercolor. I have been very fortunate to spend most of my life in art. Whether I was teaching, learning, or creating, each of these experiences have brought me so much satisfaction. I am not sure when making art grabbed me. Maybe it was in 6th grade and a colored pencil drawing I did for the holidays received the attention of my teacher. Maybe it was Mrs. Pensinger at Portland Junior High (Bloomington, MN) who mentored and expanded my capacity to think of myself as having a talent for art, or maybe it was an expanding group of friends in art that surrounded me and urged me to continue. I do know that it was the early mentoring of high school art teachers that influenced my decision to become an art teacher, which I did for over 30 years. I believe in the power of the arts for kids. But that passion, all kids receiving a solid art K-12 education is a topic for another time. Whatever the reason for being where I am today it has been influenced by such wonderful teachers such as Jerry Korte at St. Cloud State University, Kay Sharkey at the Bloomington Art Center, Dorothy Odland at the Minnetonka Art Center, Jerry Brommer, Jeanne Stortz, and Ken and Melissa at Your Arts Desire Gallery. So many other artists and friends have been my teachers and provided such valuable feedback and critique. They have supported my exploration of watercolor, encouraging me to explore other non-tradition additions to watercolor such as collage and printing techniques. And it goes without saying that my family has also been a source of support. One painting flows into the next. Painting is a visual representation of my gratitude.